Doug Hillrichs is Director of Business Development for VMG Health and based in the firm’s Dallas office. He assists healthcare provider entities with valuation, transaction consulting and real estate advisory issues for a wide range of purposes including possible purchase/sale, merger, joint venture formation, financial reporting, financing, insurance placement, and others. 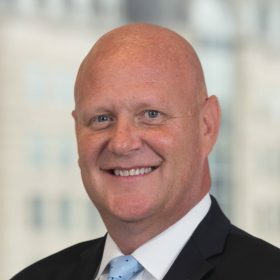 Prior to joining VMG Health, Mr. Hillrichs spent eleven years with American Appraisal where he led that firm’s national business development organization, and three years with KPMG/KPMG Consulting. Mr. Hillrichs earned a Bachelor of Business Administration degree with a major in Finance from Iowa State University, and a Master of Business Administration degree from the University of Texas at Dallas.